Our review summarizes the latest approaches regarding in vivo biocompatibility evaluation of magnetite nanoparticle-based systems. The paper follows the applications of Fe3O4 nanoparticles in cancer diagnosis and treatment, by means of nanoparticle-mediated magnetic hyperthermia, respectively by targeted delivery of chemotherapeutics. The long-term biodistribution in relevant organisms is also discussed, due to the need of knowing the exact course of magnetite nanoparticles after the fulfillment of their function. Several commercial Fe3O4 systems used as contrast agents for medical imaging and cancer treatment by hyperthermia are briefly presented in the last section. A wide range of skin diseases are associated with autoimmune responses against skin-specific or ubiquitous antigens. In many of these diseases, including autoimmune blistering disorders, collagenoses and vasculitides, extensive clinical and experimental evidence shows that autoreactive T-cells and/or autoantibodies play a major pathogenic role, allowing their classification as autoimmune diseases. The presence of tissue-bound and circulating autoantibodies does not only bear relevance for disease pathogenesis, but also allows developing robust diagnostic tools and molecular therapeutic approaches. Thus, various immunofluorescence methods, as well as molecular immunoassays, including enzyme-linked immunosorbent assay and immunoblotting, belong to the modern diagnostic algorithms for these disorders. This review article describes the immunopathological features of autoimmune skin diseases and the molecular assays currently available for their diagnosis and monitoring. Microvesicles, also called microparticles or exosomes, are ultrastructural cellular components that have been widely researched in the past as well as present in order to establish their morphology, origin and role in physiological and pathological processes. Advanced techniques show that these microparticles have their clinical implications in the prevention and prediction in pathology and have potential in the discovery of novel therapeutic approaches to metabolic diseases such as diabetes, cardiovascular, autoimmune diseases and cancer. Oral cancer was ranked as the sixth worldwide most common cancer, but recent studies noticed an overall downward trend in its incidence. However, for tumors localized on the tongue, the incidence seems to increase. The malignant transformation of many carcinomas is associated with loss of epithelial differentiation and gain of a mesenchymal phenotype, a process known as epithelial-mesenchymal transition (EMT) which for oral squamous cell carcinomas (OSCC) could be a predictor and a prognostic factor. The aim of our study was to investigate immunohistochemically the E-cadherin/N-cadherin switch and vimentin expression as markers of EMT process in tongue OSCC. Thus, we analyzed 15 cases of tongue OSCC by enzymatic double immunohistochemistry using the following double pairs of antibodies: E-cadherin/vimentin and N-cadherin/E-cadherin. E-cadherin reactivity was recorded in all the investigated cases, the pattern of expression being both membranous and cytoplasmic, with the membrane pattern decreasing simultaneously with the decrease of the differentiation degree and with the increase of invasion phenotype, while the cytoplasmic pattern had an opposite behavior. Tumor parenchyma reactivity for vimentin was noticed in 73.3% and its expression was more obvious in tumor cells from the periphery of proliferative islands and in acantholytic carcinomatous cells. N-cadherin reactivity was restricted to only 33.33% of the investigated cases and its expression was prevalent in poorly differentiated forms. In conclusion, in tongue squamous cell carcinomas at the invasion front the E-cadherin reactivity decreases while vimentin expression increases, with a cytoplasmic N-cadherin reactivity in a few of the observed cases. This EMT phenotype was correlated with the decrease of differentiation degree, with the increase of the type of invasion pattern and with increasing disease stages and thus these EMT markers could be used for prognostic stratification of such patients. Merkel cell carcinoma (MCC) is a rare, but highly aggressive primary cutaneous malignancy, showing neuroendocrine differentiation. In 2008, a novel member of the polyomavirus family, named Merkel cell polyomavirus (MCPyV) was identified in the genome of MCC tumors raising the possibility of an involvement in its pathogenesis. Due to the rarity of this tumor and current pathology practices, the most readily available tissue is archival formalin-fixed, paraffin-embedded (FFPE) material. In this study, we evaluated the presence of MCPyV in FFPE tissue and correlated its presence with tumor progression. Representative FFPE specimens from 18 tumors belonging to 14 patients with a diagnosis of MCC spanning the period from 2003 to 2008 were retrieved. Following DNA extraction, we performed PCR amplification and sequencing with four different MCPyV-specific primer pairs mapping within the T antigen and VP1 region. Overall, we detected MCPyV amplicons in 8/18 (44.4%) analyzed tumors from 7/14 (50%) cases. Two-year survival rate and median survival for the MCPyV-positive MCCs were 48% and 22.5 months, respectively and for the negative ones 69% and 51.3 months, respectively; however, the difference did not reach statistical significance (p=0.8). There was no significant correlation between the presence of the virus and the stage at presentation; however, tumors in the head and neck area had a lower frequency of viral positivity compared to those arising in the extremities suggesting a MCPyV-independent oncogenetic pathway perhaps, dependent on UV exposure, in a subset of these cases. Aim: Histopathological and immunohistochemical study of prognostic factors in anterior skull base meningiomas in order to determine the post-operative management. Materials and Methods: The studied material consisted in resection specimens from 65 patients with anterior skull base meningiomas hospitalized in Clinic of Neurosurgery, National Institute of Neurology and Neurovascular Diseases, Bucharest, Romania, and diagnosed in the Department of Pathology of the same Institute, between 2007 and 2013. The biological material was processed by standard histological technique with Hematoxylin and Eosin staining which allowed the classification of tumors according to WHO 2007 system and the assessment of the morphological parameters of known prognostic value. Subsequently, the tumor fragments were submitted to immunohistochemistry to evaluate the proliferative activity (Ki-67 labeling index) and progesterone hormone receptor (PR) status. Results: 83.07% of the 65 anterior skull base meningiomas were WHO grade I tumors; the grade II tumors accounted 15.38%, while the grade III tumors were rare (1.53%). Mitotic activity was variable, reaching up to 14 mitoses/10 HPF (high-power field) in atypical and anaplastic tumors; mitoses were absent in 64.81% of grade I tumors; the average mitotic index in grade II tumors was 5.15 mitoses/10 HPF. Both mitotic activity and infiltrative and invasive tumor growth (the latter found in 36.92% of cases) were correlated with tumor grade. Ki-67 labeling index ranged between 1.1% and 7.7%, with the highest value found in anaplastic tumor; progesterone receptors (PR) were expressed with variable index in 84.61% of cases. The immunonegative PR tumors were represented by 16.66% of grade I tumors and by the only grade III tumor. In contrast to PR, Ki-67 expression was statistically correlated with tumor grade. The comparison between the expression of Ki-67 and PR revealed an inverse relationship between the level of PR expression and the proliferative activity intensity. Conclusions: We found that PR expression decreases as the biological behavior of tumor becomes more aggressive; it may be related with an increased risk of recurrence, making the postoperative surveillance more rigorous in these patients. Corpora amylacea (CA) are glycoprotein-based depositions that accumulate in the normal aging brain or consecutively to different neuro-degenerative diseases. Although controversies still exists in what it regards their origins and functions, their morphology is described simply as round basophilic entities based on bi-dimensional observations. The aim of the present study was to evaluate the three-dimensional morphology of these bodies in the brain in normal aging. We utilized here brain tissue from six aged patients, and performed an in-depth stereological analysis of CAs based on series of thin serial sections, and 50 micro-m-thick sections. The thin seriate sections have been counter-stained with Hematoxylin and Eosin, while the thick sections have been immunostained in fluorescence for ubiquitin and GFAP/collagen IV or aquaporin 4. Three-dimensional renderings have been obtained after aligning the serial sections, while high-resolution z-stacks have resulted after deconvolution on the thick sections. More than 70% of all the identified CAs proved to be in fact parts of larger aggregates, where the flattened individual spheroids branched and communicated with other bodies in a complex pattern, and budding of small CAs from larger CAs could be observed. There was a direct correlation between the diameter of the vessels and the number of associated CAs. Astrocyte GFAP and aquaporin 4 signals surrounded CAs, but without any colocalization with the ubiquitin areas, while perivascular CAs were sometimes enclosed in pockets of the basement membranes. In conclusion, as far as we know, this is the first study to describe the three-dimensional branching complexity of corpora amylacea in the brain. 9. Bone marrow edema - premonitory sign in malignant hemopathies or nonspecific change? Bone marrow edema (BME) is defined as an excess of fluids that builds up in the bone marrow (BM), commonly found because of osteoporosis, trauma, infections, ischemia or neoplasia. Histologically, BME is characterized by accumulation of extracellular eosinophilic fluid. Magnetic Resonance Imaging (MRI) is the only method that highlights the presence of BME caused by various diseases, including the one associated with hematological malignancies. The classic MRI protocol for the study of BM and BME includes T1- and T2-weighted sequences, the STIR sequence, and in some cases, the administration of intravenous contrast agents in T1-weighted sequences. Fifty-four patients were investigated; there were identified 30 patients with MRI features of BME. Out of the 30 patients with BME, 24 were known to have a malignant hematological disease (multiple myeloma, leukemia, lymphoma); for the remaining subjects, imagistic findings and other laboratory investigations led to multiple myeloma diagnosis. Of the 30 patients, six showed characteristic lesions of the underlying disease as well as BME; four patients had only BME. BM is a structure that is commonly investigated using MRI scans, regardless of the examined bone segment. T1-weighted images and T2-weighted with fat suppression are essential for BME evaluation. Moreover, MRI allows monitoring disease progression and treatment response in patients with malignant hemopathies. 10. Biopsying parapsoriasis: quo vadis? Are morphological stains enough or are ancillary tests needed? Background: Parapsoriasis represents a group of cutaneous disorders that shows variable clinical aspects somehow resembling to psoriasis, how is reflecting by its name. It was first named by Brocq, in 1902, as an entity with three components: pityriasis lichenoides, small plaque parapsoriasis and large plaque parapsoriasis. Nowadays, under the name of parapsoriasis are included only the last two categories, that are considered disorders characterized by the presence of a mononuclear infiltrate in the dermis, composed of T-cells. Until now, there were not established pathognomonic histopathological features to diagnose parapsoriasis. 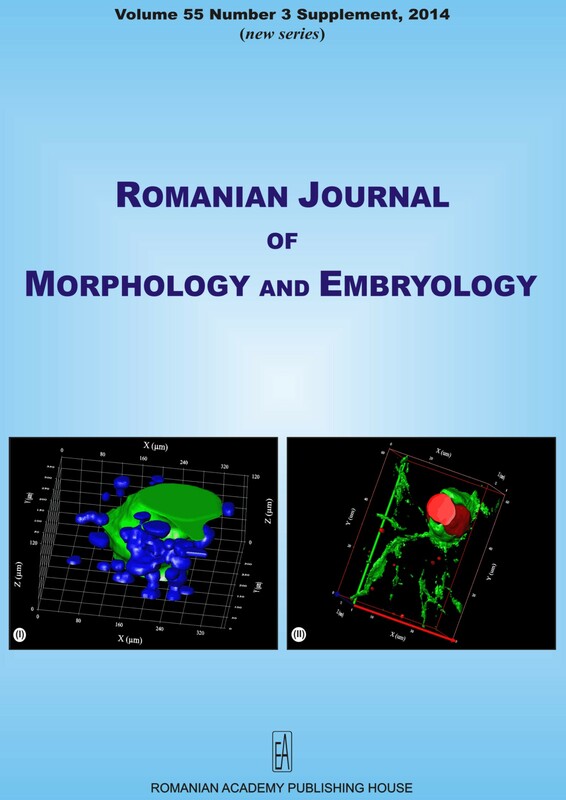 Aim: The aim of the study was to investigate the epidemiological and morphological data of parapsoriasis cases diagnosed at Emergency City Hospital, Timisoara, Romania for a period of 12 years. Materials and Methods: The study had two parts; one was retrospective and another one prospective. For the retrospective part, we searched 210111 patient files recorded in our Pathology Service for a period of 11 years, from January 2002 to December 2012. The slides were searched from the archive and re-read by two individual pathologists. For prospective part of the study, we reviewed 11815 histological slides read between January and June 2013. After inspection of the recorded files, the pathologists noted, were available, the localization and number of the lesions, together with symptoms. The biopsied specimens were initially processed with routine histological technique, the archive slides being stained with Hematoxylin and Eosin. While reading the slides, the pathologists paid attention to the architecture of the epidermis, the presence of epidermotropism and interface dermatitis, type of the dermal infiltrate and its distributions. Conclusions: In the present study, we emphasized the histopathological aspects of parapsoriasis in order to create a basic line that could help in the establishment of a uniformly accepted definition of parapsoriasis on histopathological grounds. Objective: The aim of this study was to analyze the dental and alveolar intercanine, interpremolar and intermolar widths in patients with Class II/2 malocclusion and to compare the data with a patient group with normal occlusion and also with a patient group with Class II/1 malocclusion. Materials and Methods: The study was conducted on 140 untreated patients with permanent dentition, aged 16 to 25 years, which were divided into three groups, according to Angle s classification of occlusion. The measurements of the dento-alveolar intercanine, interpremolar and intermolar widths were made on virtual study models, scanned using an optical 3D scanner. The unpaired (Student s) t-test was used to determine whether there were any significant differences between the Class II/2 and Class I groups and between Class II/2 and Class II/1 groups, respectively (p<0.05). Results: Significant differences were found between Class II/2 and Class II/1 groups in the maxillary and mandibular intercanine widths. Comparing the Class II/2 and Class I groups, significant differences were found in the mandibular intercanine width, in the maxillary and mandibular interpremolar widths and also in the maxillary and mandibular intercanine and interpremolar alveolar widths. Conclusions: The maxillary and mandibular interpremolar widths and the intercanine and interpremolar alveolar widths were larger, while the mandibular intercanine width was shorter in the Class I group than in the Class II division 2 group. The mandibular intercanine width was longer and the maxillary intercanine width was shorter in the Class II division 1 group compared to the Class II division 2 group. Introduction: One of the aspects that have an influence on rhinosinusal endoscopic surgery is extrasinusal pneumatization, which can also affect less common structures at this level. The pneumatization of the superior and supreme turbinates, uncinate process and crista galli are perfect examples of this situation. The diagnosis is made only through imaging methods. Materials and Methods: This is a retrospective anatomo-radiological study analyzing 205 CT scans of the facial sinuses performed over a three years period. All patients were symptomatic and the CT scans were performed to assess the cases prior to surgery. Ninety-seven patients were females and 108 males, aged between 18 and 91 years. Results: The prevalence of pneumatization and the prevalence of the different pneumatization types (superior and supreme turbinate, uncinate process and crista galli) were determined. Conclusions: The pneumatization of the supreme turbinate (10.24%) was less common than that of the superior turbinate (29.76%) and affected all its anatomical variations (A, B, C). Pneumatization of the crista galli process was recorded in 22.92% of the cases, especially in association with type 2, while the prevalence of pneumatized uncinate process was of only 3.41% (uni- or bilateral). Aortic size is known to be a predictor for cardiovascular deaths. The purpose of this study was to investigate whether aortic diameters measured on tissue samples obtained during autopsy from subjects that died of cardiovascular disease were bigger when compared to those from subjects deceased from other cause than cardiovascular disease. The study included 91 deceased subjects (average age 56+/-18.1 years), which underwent autopsy to determine cause of death. Morphological measurements were completed on 364 aortic specimens obtained from four different sites, namely ascending aorta, aortic arch, distal thoracic aorta and abdominal aorta. Aorta showed the tendency to decrease in diameter from ascending aorta to abdominal aorta, the latter presenting with the smallest diameter. All studied aortic diameters were found to be larger in the cardiovascular population (p<0.01). The aim of the study was to determine the distribution patterns of multiple renal arteries, evaluate how they are affected by gender and bilateral asymmetry and proceed on a systematic review. Two hundred and six kidneys from 103 Greek cadavers (53 males and 50 females) were investigated. The number and pattern of multiple renal arteries were determined according to side, gender and level of origin. The distances between the main renal and first multiple renal arteries were also measured. Multiple renal arteries were present in 11.2% of the kidneys. No statistically significant difference was found between side and gender (p>0.05). The incidence of multiple renal arteries was 87% unilaterally and 13% bilaterally. As regards the multiple renal arteries, a single artery was detected in 83%, two in 13% and three in 4.3%. In 30.4% (7/23) of the kidneys, there was a short common trunk (<1.5 cm), early dividing into the main renal artery and a thinner artery. Multiple renal arteries on the left side seemed to emerge lower than the right ones and displayed a greater variability at their origin. In the systematic review, we detected the patterns of multiple renal arteries which were classified according to population, gender, side and specimen (cadaveric, radiological or transplant). The awareness of morphology and topography of the multiple renal arteries is important in order to achieve a safe pre and intraoperative management of the renal vascular supply. The study conducted on a total of 1344 preterm births, of which 403 hypotrophic fetuses births (between 2010-2012 within the Maternal Clinics of Craiova, Romania), studied the involvement of dental inflammatory infections in the chorioamnionitis onset. The possibility of transferring germs, toxins and degraded materials into the blood flow, and them entering the chorioamniotic structures is quite a common issue. Subclinically often evolving chorioamniotic membrane and its existence is clearly established after birth by histopathological and bacteriological examinations, being partially responsible for the growth delay of the conception product. Our study revealed this fact, by using clinical examinations, ultrasound exams, bacteriological determinations of the amniotic fluid and the placenta, alongside the histopathological examinations. The chorioamnionitis inflammatory process is responsible for premature birth, through a high synthesis of interleukins (IL) and prostaglandins, causing uterine contractions. Our IL-6 dosage determinations show its growth that can be considered a prediction marker for preterm birth. Uterine myometrial smooth muscle tumors sometimes raise concerns related to their histopathological typing, and that especially for benign entities with areas of atypia. In this study, we analyzed a group of myometrial smooth muscle tumors in what it regards their differential diagnosis utilizing a panel of antibodies consisting of alpha-SMA, Ki-67, p16, p53, PR and bcl-2. The study included a total of 16 cases of cellular leiomyomas, five cases of atypical leiomyomas and six of leiomyosarcomas, which were all analyzed for age, risk factors, mitotic activity, cellular atypia and tumor staging. In cases of cellular leiomyomas, the immunophenotype was characterized by high expression of PR and bcl-2 and low expression of p53 and Ki-67. For atypical leiomyomas, PR, bcl-2 and p53 expression levels were highly compared with low levels of p16 and Ki-67. Leiomyosarcomas immunophenotype was characterized by high expression values of Ki-67, p16 and p53, and decreased levels of PR and bcl-2. The study indicated specific immunophenotypes among the uterine myometrial smooth muscle tumors analyzed. The antibody panel used here might be a useful for the complementary histopathological analysis of myometrial leiomyomas and leiomyosarcomas. There is scientific data to support the existence of a two-way relationship between diabetes and periodontitis, with diabetes increasing the risk for periodontitis, and periodontal inflammation negatively affecting the diabetic status. Our study aims to investigate the expression of MMP-7, -8, -9 and -13 in the gingiva of the young patients with aggressive periodontitis (AP) and type 1 diabetes mellitus (T1D). Gingival biopsies were harvested from five adult patients aged 19-29 years with T1D+AP with moderate (three cases) to severe (two cases) forms of AP and from four adult patients aged 18-28 years with moderate AP without T1D. The MMP-7 immunoreaction was positive in the five cases with T1D+AP with different staining patterns. The MMP-8 immunostaining was positive in all cases. The reaction was more intense in cases with T1D+AP, especially in those with severe periodontitis. The MMP-9 immunoreaction was present in all the structures of the gingival mucosa with different intensity, being frequently present surrounding the blood vessels of the chorion. In most of the patients, reaction to MMP-9 was intense, localized at the level of the cells in the superficial chorion and very rarely at the level of some dispersed cells in the connective vascular islands. MMP-13 was present in all cases, but it was more intense in the two cases with T1D+AP with probing depth (PD)>6 mm when it had similar patterns as MMP-9 staining and in one case with AP when the staining was observed strictly in the lamina propria associated with moderate chronic inflammatory infiltrate. The expression of MMP-7, -8, -9 and -13 in the gingiva of the young patients with aggressive periodontitis and T1D was positive in all studied cases supporting the hypothesis that both are inflammatory diseases with common pathogenic mechanisms involving inflammatory mediators and may be possible biomarkers of disease status. The objective was the cytoarchitecture evaluation of known steroid dependent target tissues after administering of testosterone, compared to action of its more active ester, nortestosterone (nandrolone decanoate) in castrated rat males in the aim of Hershberger bio test. Study was performed on 30 castrated male Wistar rats, aged between 35 and 39 days, in peripubertal period, divided into five groups. Androgen doses administration begun at the rats age of 49 days. Animals were injected i.m., daily, for 10 consecutive days as follows: Aquatest (Balkan Pharmaceuticals Ltd., Moldova) testosterone aqueous solution: Testosterone I group (0.4 mg/animal); Testosterone II (0.8 mg/animal); (Deca-Durabolin, Balkan Pharmaceuticals); nandrolone decanoate oily solution: Nortestosterone I (1.5 mg/kg body weight); Nortestosterone II (7.5 mg/kg body weight) and Control (White sesame oil, Manicos, Romania, 0.1 mL/animal). Gonadectomy (GDX) induced modifications of target tissues wet weight accompanied by important modifications in cytoarchitecture. Changes following exogenous administration of testosterone and nortestosterone decanoate were found in: liver (granular dystrophy, mega-mitochondria, tubular intumescences), prostate (increasing of the structural elements), seminal vesicles (hyalinosis, thickening of cell walls and the hyaline presence), levator ani-bulbo-cavernosus muscle (muscle fibbers dilacerations), bulbourethral glands (muscular fibbers rarefaction by fluid accumulation) demonstrating the disruptor activity especially for overdosed nandrolone decanoate. Prenatal stress and depression affects 10-25% of pregnant women and is associated with disruption of fetal neurodevelopment, higher rates of placental abnormalities, preeclampsia, spontaneous abortion, or preterm birth. Markers of genetic vulnerability are catechol-O-methyltransferase, monoamine oxidase-A, variation of serotonin transporters, low levels of dopamine-beta-hydroxylase, and brain derived neurotrophic factor Val66Met (BDNF), while hyperactivity of HPA (hypothalamic-pituitary-adrenal) axis and massive release of endogenous cortisol, regulated by metalloproteinase-1, -2, -3 and -9, and are involved both in depressive symptoms and neurodevelopmental abnormalities in fetus. In women with prenatal stress and depression which suffered spontaneous abortion were observed placental abnormalities as regular shape and necrotic villi, decidua with large areas of necrosis, acute inflammation and effusion areas correlated with increase in proinflammatory factors, immune deficit and infections, hyaline type fibrosis, intervilos and deciduous intense hemorrhage, associated with increase of vascular endothelial growth factor. Taking into account the important societal and economic costs becomes important for an interdisciplinary approach, in which pregnancy and its risks are a central point for women mental health. Aim: To highlight the role of prostate rebiopsy in the diagnosis of prostate cancer (PCa) in cases with an atypical small acinar proliferation (ASAP) diagnosis on the initial biopsy. Materials and Methods: A retrospective study on 1525 patients who underwent prostate needle biopsy (PB) over a period of four years (2009-2012) was performed. For each patient the following were analyzed: age, prostate volume, digital rectal examination (DRE), serum total prostate specific antigen (tPSA), number of the cores taken. All PB were examined in HE staining and in difficult cases, immunohistochemistry (IHC) for basal cell markers was performed in order to establish a correct diagnosis. According to morphological criteria and IHC results, all PB were classified into four category of diagnosis: PCa, ASAP, high-grade prostate intraepithelial neoplasia (HGPIN) and benign (including normal tissue, inflammatory lesions, and prostatic atrophy). In ASAP cases, a rebiopsy was performed. Results: PCa detection on the first biopsy was 69.77%, with a 3% incidence of ASAP and 1% of HGPIN, values similar with those in the literature. After rebiopsy the overall detection rate of PCa was improved to 71.01%, with a detection rate of 41.17% on the second biopsy. Conclusions: PCa diagnosis is the result of a complex algorithm including DRE, tPSA, transrectal ultrasound (TRUS) examination and TRUS-guided prostate biopsy. TRUS-guided prostate biopsy is the key step of this algorithm; it confirms the diagnosis of PCa and must be repeated in cases with a solid clinical suspicion of PCa, whenever histopathological features are inconclusive even after IHC staining. Meckel s diverticulum (MD) represents one of the most common malformations of the digestive tract, being a vestige of the proximal end of omphalo-mesenteric duct, which normally obliterates and atrophiates between the sixth and ninth week of intrauterine life. It is estimated that 2-4% of people are carriers of this malformation. The interest in this organ study lies in the fact that it presents its own non-specific pathology, mimicking a cecal, colon or small intestine pathology. It seems that most MD cases are asymptomatic (AS MD), being arbitrary discovered during surgeries, whereas only a small part are being symptomatic (S MD). MD may be clinically expressed at any age but it is more common in children. In our study, we evaluated a group of 44 children, aged between 0 and 16 years, diagnosed with AS MD (15 cases) or S MD (29 cases). Of the 29 S MD cases, 14 had intestinal obstruction, seven cases showed lower gastrointestinal bleeding, five cases presented acute inflammation (diverticulitis) and three cases were complicated with peritonitis; 15 cases of AS MD were discovered during surgical interventions for acute appendicitis (14 cases) or inguinal hernia (one case). Most cases of MD were recorded between 1-4-year-old and 7-16-year-old. Clear cell acanthoma, firstly described by Degos as an epidermal tumor with a particular aspect, although quite a rare lesion, raised an important interest because it may be easily confused with other dermatologic lesions, in the absence of a histopathological examination. Its clinical aspect is of a solitary nodule, with a red-brown varying color, with a size of 3 mm to 2 mm, sometimes covered with a thin scall. We present a case of a multiple rare cell acanthoma (seven nodular formations), having a rapid development (about two months) diagnosed in a 71-year-old patient within the lower 1/3 of the right shin. The solitary fibrous tumor of the pleura (SFTP) is a rare primary tumor arising from mesenchymal cells in the areolar tissue subjacent to the mesothelial-lined pleura. From an epidemiological standpoint, solitary fibrous tumors of the pleura account for less than 5% of primary pleural tumors, and commonly affect patients in the sixth and seventh decades. We presented the case of a 38-year-old woman, without any significant pathological history, who presented at the emergency room for unspecific respiratory symptoms. Imagistic investigations showed a giant opacity in the upper half part of the left hemithorax. The patient underwent surgery and en bloc resection of the tumor (30/25 cm) in oncological limits was performed. Definite diagnosis - solitary fibrous tumor of the pleura - was obtained through histological examination and immunohistochemistry. Even if SFTP are benign tumors, a long follow-up period is mandatory as even patients with complete resection are at risk of recurrence several years after surgery. Psoriasis is an inflammatory skin disease, with a polymorphic clinical appearance. Modern techniques for in vivo imaging of skin structure, such as reflectance confocal microscopy (RCM) and dermoscopy, could be very useful tools for diagnosis and monitoring of psoriatic lesions. We report a case of psoriasis vulgaris in which we identified certain dermoscopic features suggestive for psoriasis and RCM enabled us to identify in vivo most of the histological features of psoriatic lesions. Canine transmigration is a very rare dental anomaly in which an unerupted mandibular canine migrates, crossing the mandibular midline. This unusual condition is most often diagnosed by chance during a routine X-ray examination. The most common clinical signs announcing the presence of this anomaly are over-retention of the deciduous canine and the absence of permanent canine from the dental arch after its physiological period of eruption. In this paper, we present a clinical case, 10-year-old boy, who was diagnosed with mandibular right canine transmigration at three years after the start of orthodontic treatment, during which we were expecting the eruption of mandibular canines. The orthopantomograph revealed the mandibular right canine to be in a horizontal position under the apices of the incisors - type 2 transmigration pattern classified by Mupparapu (2002). Based on cone-beam computer tomography examination, we recommended a surgical exposure of the canine and orthodontic alignment. Due to the risk of root resorption of the mandibular right lateral incisor during orthodontic movement phase of canine transmigrated to the dental arch, we decided to align the mandibular right canine in a transposition, between the two mandibular right incisors. Then we resorted to adapting the mandibular right lateral incisor coronary morphology to simulate a canine and also to reshaping the canine coronary morphology to resemble a lateral incisor. This therapeutic approach allowed us to restore morphologically and functionally the mandibular dento-alveolar arch, preserving the entire dental system. A 37-year-old male has left exophthalmia, which gradually evolved in the last two years, finally with a deviation of left eye (LE), down side and out, with gradually decrease of visual acuity (VA). These symptoms are accompanied with headache and psychiatric manifestations with irritability, decreased attention, anxiety, insomnia, depressed mood. Brain Computed Tomography (CT) shows a tumor mass in air leakage sinus, bilateral frontal and bilateral ethmoidal, with left orbital invasion. This tumor mass lysis by pressure the supero-posterior wall of the left orbit, with the delimitation of a frontal epidural process with a capsule and calcifications. Additionally, it has been shown there is a bilateral maxillary sinusitis. The surgical intervention removed the infection focal spots rearranging the left eyeball, recovering the VA. The sinuses were drained. The psychiatric symptoms in the post operatory phase disappeared. Histopathological examination of the excised tissue revealed sinus ciliated respiratory mucosa with mixed acute and chronic inflammatory infiltrate and focal squamous metaplasia. The lamina propria is edematous and contains large numbers of neutrophils, lymphocytes and plasma cells. Histopathological diagnosis is acute and chronic sinusitis. Conclusions: An untreated infection of the aerial sinuses can lead to a complication like Pott s puffy tumor. When signs such as ophthalmologic, psychiatric and intense headaches appear, it suggests the presence of the Pott s puffy tumor (PPT). The clinical signs are reversible once the tumor has been removed. Simultaneous presence of an epithelial and lymphoid tumor of the digestive tract is quite rarely met in literature. In this paper, we describe a case which presented such an association. Diagnosis was established by histological study, followed by immunohistochemistry. It is a synchronous colon tumor, associating a non-Hodgkin s lymphoma to a colon adenocarcinoma. The 57-year-old male patient has been clinically diagnosed with a tumor of the left abdominal quadrant and paraclinically (imaging and endoscopic) with colon neoplasm. Exploratory laparotomy revealed two tumors: one tumor of five centimeters in the sigmoid, with firm consistency, mobile on lower plans and the second tumor in the ceco-ascending colon, measuring about 7 cm, irregular, with firm consistency, mobile on lower plans, with lymph nodes extending to retroperitoneal space. The urinary bladder, kidneys, liver and stomach were of normal aspect. Subtotal colectomy was performed with latero-lateral ileo-sigmoid anastomosis. Microscopic examination revealed sigmoid tumor as G1 adenocarcinoma and cecal tumor as B-cell type lymphoma. Immunohistochemistry established the final diagnosis of cecal localization being a diffuse immunoblastic large B-cell non-Hodgkin s malignant lymphoma. The final diagnosis of this patient was actually a synchronous manifestation of a colon adenocarcinoma and non-Hodgkin s lymphoma. This association puts into question synchronous tumors etiopathogeny matter. The main role of the melanin production belongs to the keratinocyte-Langerhans-melanocyte complex that within a burn injury might be destroyed. A particular aspect has the pediatric patient with burns due to a deficit in pigment synthesis and particularities involving the growth process of facial structures. This article presents four eloquent cases of pediatric patients with sequelae, consequence of facial burns that varied in depth and etiology. The age of patients at time of admission was between four and 18 years, and the interval between production of the primary lesion and admission was variable (0-17 years). Conservative treatments prove to be insufficient, requiring the destroyed structures to be replaced with compatible tissue by surgical intervention. The therapeutic success of skin grafts and dermal substituents acknowledges the main role of plastic surgery. New technologies as well as new cell focused studies support the clinical proven results as well as they enlarge the spectrum of potential available therapeutic methods in order to obtain the best therapeutic results. Background: Adenoid basal carcinoma (ABC) of uterine cervix is an extraordinary example of carcinoma with both basal and glandular cell types. Here we present such a case of ABC combined with invasive squamous cell carcinoma (SCC) of 55-year-old woman. Methods: The tumor was stained with Hematoxylin-Eosin (HE), Mucicarmine, PAS/Alcian Blue, CK AE1/AE3, CK7, CD117 and Ki67. Results: The whitish-grey 1 cm in-depth infiltration of endocervix was composed of infiltrative coalescing areas of CK AE1/AE3 positive carcinoma with peripheral palisading of basal cell type with spaces lined by Mucicarmine- and Alcian Blue-positive benign looking, glandular epithelium. There were also foci of apparently malignant squamous epithelium with evident dyskeratosis. Thus, a lesion was diagnosed of adenoid basal carcinoma combined with invasive squamous cell carcinoma foci of uterine cervix. The tumor was further CD117 negative what favored diagnosis of ABC over adenoid cystic carcinoma (ACC). There were rare mitoses on HE slides but 60% of all tumor cells were positive for Ki67 that would partially contradict reported benign nature of ABC lesion. Moreover, tumor was CK7-positive and this finding was controversial and according to one report favored diagnosis of ABC-like adenosquamous carcinoma (ACC). Due to CK7 positivity and high index of Ki67, the neoplasm was re-classified as adenoid basal carcinoma-like tumor. Conclusions: It seems reasonable to treat the patient in the same manner as in case of pure simple invasive squamous cell carcinoma because much more aggressive, minor component of invasive SCC was found within ABC in our case. Damage to knee articular ligaments causes important functional problems and adversely affects particularly the stability of the knee joint. Several methods were developed in order to repair damage to the anterior cruciate ligament (ACL), which employ autografts, allografts, as well as synthetic ligaments. One such synthetic scaffold, the ligament advanced reinforcement system (LARS) synthetic ligament is made of non-absorbing polyethylene terephthalate fibers whose structure allow tissue ingrowths in the intra-articular part, improving the stability of the joint. The LARS ligament is nowadays widely used in modern knee surgery in the Europe, Canada, China or Japan. This paper evaluates LARS ligament from two perspectives. The first regards a study done by the Orthopedics Clinic II, Timisoara, Romania, which compared results obtained by employing two techniques of ACL repair - the Bone-Tendon-Bone (BTB) or LARS arthroscopic, intra-articular techniques. This study found that patients treated with the BTB technique presented with an IKDC score of 45.82+/-1.14 units preoperative, with increasing values in the first nine months after each implant post-surgical ligament restoration, reaching an average value of 75.92+/-2.88 units postoperative. Patients treated with the LARS technique presented with an IKDC score of 43.64+/-1.11 units preoperative, and a score of 77.32+/-2.71 units postoperative. The second perspective describes the thermographic and microscopic analysis of an artificial knee ligament tearing or loosening. The objective of the study was to obtain information regarding the design of artificial ligaments in order to expand their lifespan and avoid complications such as recurring synovitis, osteoarthritis and trauma of the knee joint. Thermographic data has shown that tearing begins from the inside out, thus improving the inner design of the ligament would probably enhance its durability. An optical microscope was employed to obtain images of structural damage in the inner layers, for use in further analysis of the tears. In conclusion, the LARS artificial ligament, like the BTB technique, displays both advantages and disadvantages. It is important to understand that these two options of ACL lesion repair are not competing. LARS could, in addition to its use in primary ACL ruptures, be utilized in revisions of autologous graft rupture post primary ACL repair. Crossed fused renal ectopia (CFRE) is the second most common fusion anomalies (FAs) of the kidneys after horseshoe kidney. Crossed fused renal ectopia (CFRE) results from one kidney crossing over to the opposite side and subsequent fusion of the parenchyma of the two kidneys. We report, by multidetector-row computed tomography (MDCT) angiography, an extremely rare case of a left CFRE (L-shaped kidney type), consisting of multiple renal arteries (one main renal artery for the upper renal parenchyma, and three renal arteries (one main and two additional) for the lower renal parenchyma) and two left renal veins, which produced a double nutcracker syndrome (both anterior and posterior). The L-shaped left kidney has a maximum length of 18.5 cm, a maximum width of 10.2 cm, and a maximum thickness of 5.3 cm. The upper pole of the kidney is located at the level of the lower third of T12 vertebral body (4.6 cm left to the mediosagittal plan); the lower pole is located along the lower half of the L5 vertebral body (1.5 cm left to the mediosagittal plan). The following case will focus on the relevant anatomy, embryology, and the clinical significance of this entity. An accessory spleen (AS), or splenunculus, is a small nodule of splenic tissue found outside of the spleen. Post-mortem examinations, also known as autopsies, are carried out to identify a cause of death, and to assess the state of the organs of the deceased. We present two incidental cases of splenunculi, one localized in greater omentum and a second one localized in the hilum of the spleen, diagnosed during a histopathological examination. An immunohistochemical profile of the normal and accessory spleen was followed where the expression of the CD20, CD3, CD23, alpha-SMA were analyzed. Squamous cell carcinoma is defined as an invasive epithelial neoplasm, with variable degrees of squamous differentiation, with or without keratinization. It is origins stand at the level of the keratinized stratified squamous epithelium (skin) or non-keratinized (oral mucosa, esophageal mucosa, uterine exocervical mucosa), but it can also be found in squamous metaplasia areas (uterine endocervix or trachea-bronchial tree). This report presents the case of an oral squamous cell carcinoma as a second malignancy in the same anatomical territory, in a patient with prior treatment for chondrosarcoma, both surgical and radiotherapy. The tumor had appeared 5-6 months prior and had undergone a relatively rapid growth, this being the patient s main motive for addressing the doctors. The tumor was greyish, with imprecisely demarcated margins, of firm consistency, bleeding and with local necrotic deposits. The tumor extended from the incisive region to the maxillary tuberosity, towards the cheek mucosa and the soft palate. After a large excision, the histopathological diagnosis was infiltrative keratinizing squamous cell carcinoma, with moderate differentiation, with origins in the oral mucosa, infiltrating the whole of the maxilla and the maxillary sinus mucosa. Approximately three months after the surgery, a new tumor appeared in the oral cavity, on superior and inferior mucosa of the right cheek, extending towards the right buccal commissure, implying a relapse of the primary tumor. Postoperative oncological therapy included standard chemotherapy, which resulted in favorable postoperative evolution. This case is interesting by the association, of two metachronous malignant tumors, of different histological origin: a chondrosarcoma and a squamous cell carcinoma, at an interval of 25 years. Gastrointestinal stromal tumors could rise in different areas of the digestive tract, at any age, but very rarely in neonates. We present the case of a 5-day-old male, with intestinal stenosis and atresia (type II) operated for peritonitis. On the resected specimen, the histopathological examination revealed a small gastrointestinal tumor of 8 mm. The immunohistochemical analysis indicated a low malignant potential. He is currently at two years of oncologic follow-up with no evidence of disease. Thrombotic thrombocytopenic purpura (TTP) is a rare but severe disease characterized by mechanical hemolytic anemia and consumptive thrombocytopenia leading to disseminated microvascular thrombosis that causes signs and symptoms of organ ischemia and functional damage. TTP is diagnosed by the presence of microangiopathic hemolytic anemia and thrombocytopenia in a patient who frequently presents with central nervous system involvement and, to a lesser extent, renal dysfunction. Case Report: We present the case of a 23-year-old female with TTP, diagnosed by the presence of the neurological symptoms, microangiopathic hemolytic anemia and severe thrombocytopenia (platelets 4000/micro-L). During the clinical evolution, the patient presented the hepatic cytolysis syndrome, following disseminated microvascular thrombosis inside the liver, representing an atypical damage. The diagnosis was difficult because it was necessary to make differential diagnosis with other diseases that evolve with microangiopathic hemolytic anemia in a short time to be able to initiate plasmapheresis. Initiation of the plasmapheresis as soon as possible was the goal of our treatment. Following the plasmapheresis combined with administration of corticosteroids was achieved complete resolution of all symptoms. Conclusions: TTP is a hematological emergency and diagnostic challenge. The critical determinant of outcome is timely diagnosis and treatment. Once the diagnosis is suspected, life-saving therapeutic plasma exchange therapy is initiated. Stress has been defined as the state of a body threatened by imbalance under the influence of agents or conditions endangering its homeostatic mechanisms but the concept have multiple meanings in correlation with the origin and biological support of its effects. Also, stressors are multiple, recording one of the highest levels during the academic studies. For the medical students, stress represents an important challenge, especially during the first year of medical school, caused by the absence of a learning strategy, the sleepless night before the exam and also an unhealthy food intake during the exams. The coping strategies are important, their background being represented by the social support, especially within the family, and emotional, the passions of the medicine students being the most important stress-combating factor. Gender represents also an important factor for the stress vulnerability, manifested through medical and psychiatric symptoms. In order to train good doctors, fair and above all healthy, it is important to consider not only the information we want to transmit, but also the context in which we educate.